Emilie and I started a new project together. She really enjoys drawing and painting and wanted a new quilt to hang in her room, so I proposed a joint project. 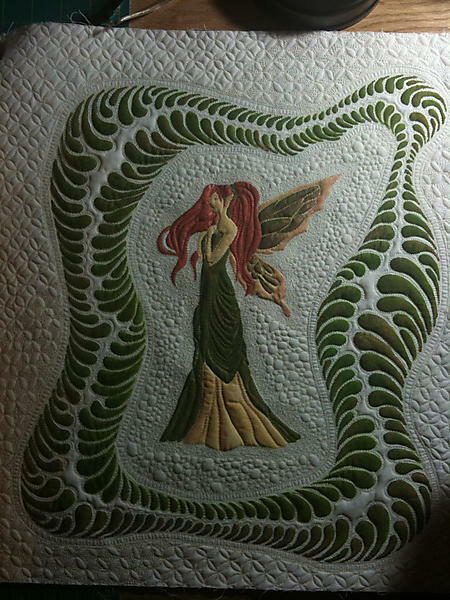 She drew the image of the fairy and planned the shape of the border. 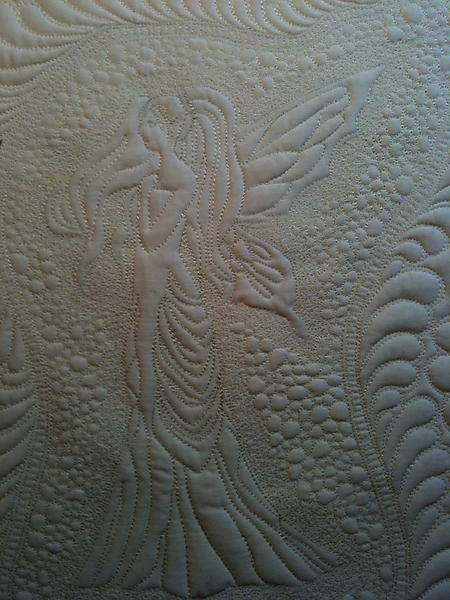 I quilted the piece and then we painted it together. I hope that this is just 1 in a series. We used both Jacquard and Dye-n-flow fabric paints. 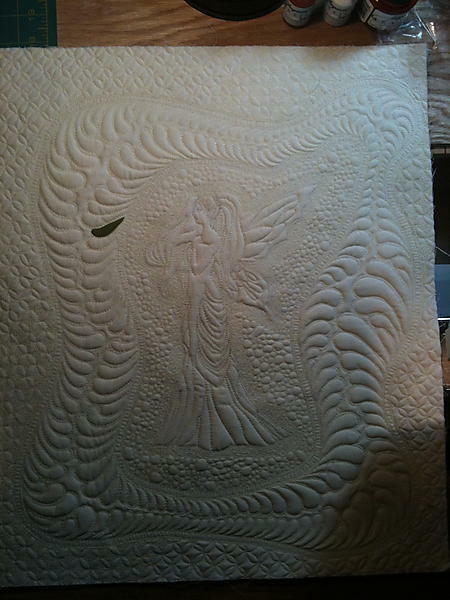 The finished size is 18×16 inches. It's beautiful! and such a wonderful project idea you can share together in tradition. BEAUTIFUL!!!!!!! I hope it's the first of many too!!! You have both done a wonderful job!! She is gorgeous! Love the colors and quilting in this one. Have your website on my favorites bar so I can check in regularly.